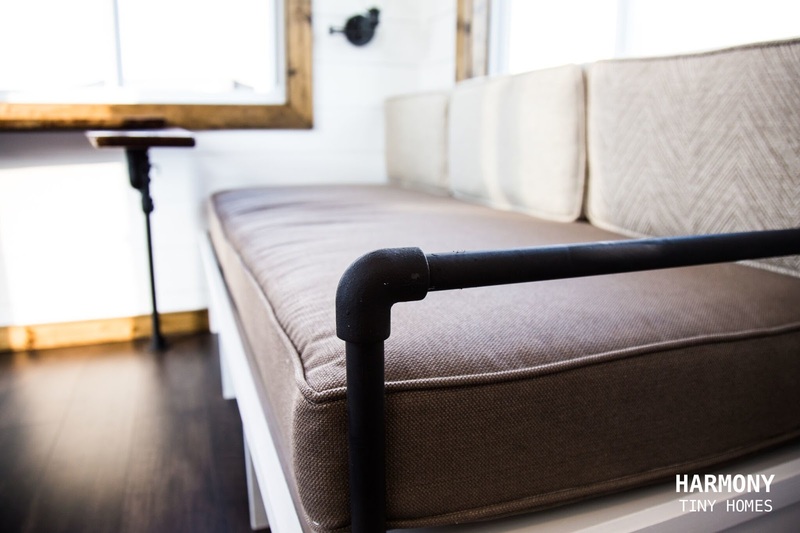 A tiny house with the stuff of interior design dreams! 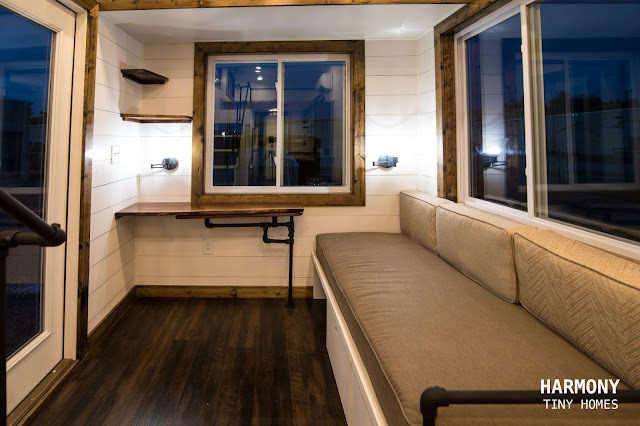 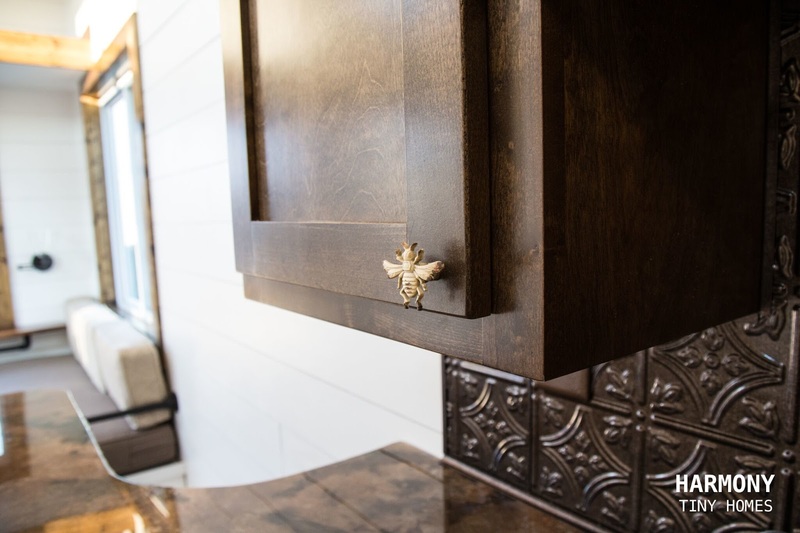 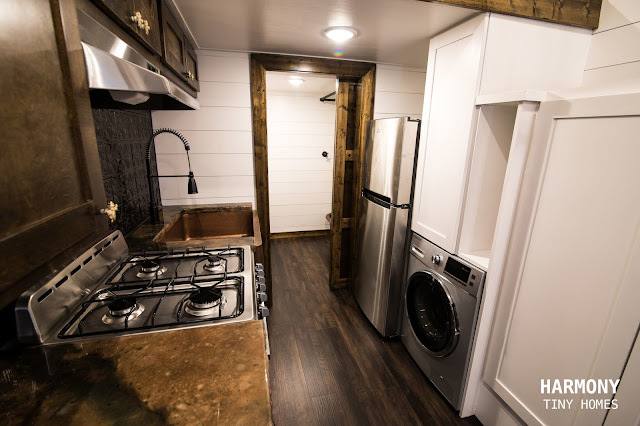 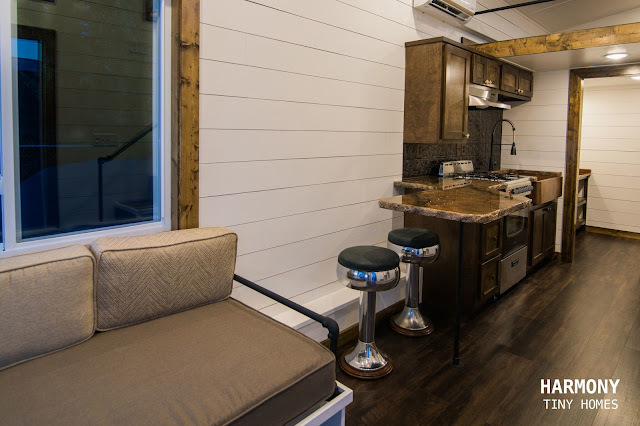 Named the "Hyacinth", the 24' home is built by Harmony Tiny Homes of Oxford, Alabama. 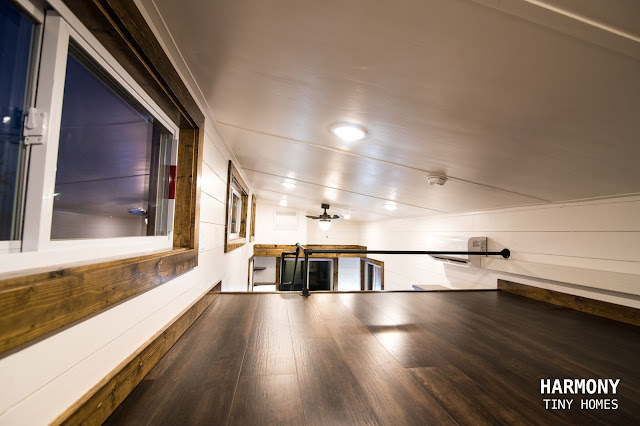 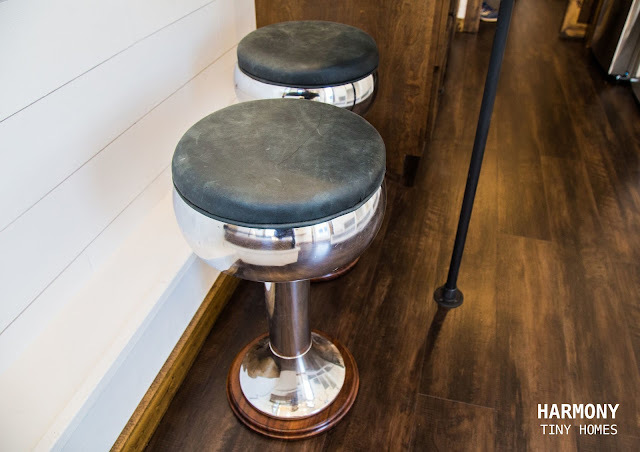 Its bright interior features white shiplap walls with rustic and industrial touches throughout the space. 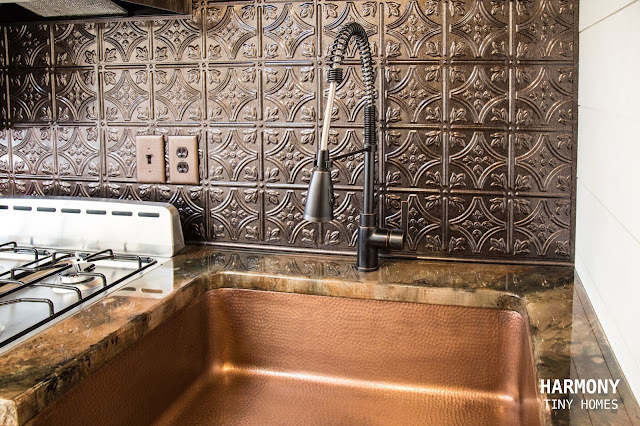 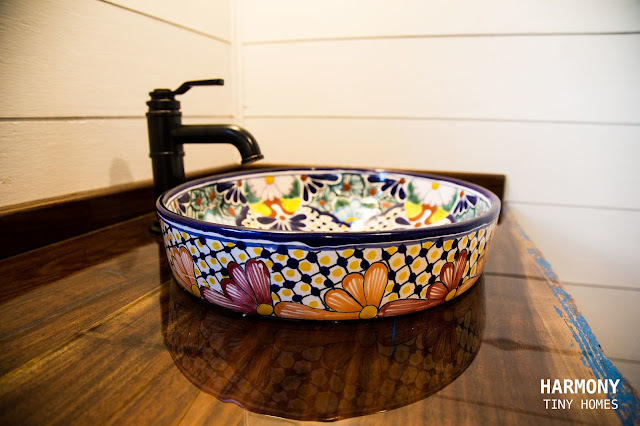 The kitchen comes outfitted with a stainless steel fridge, four-burner stove and oven, a deep copper sink, a washer/dryer, and bar-style dining for two! 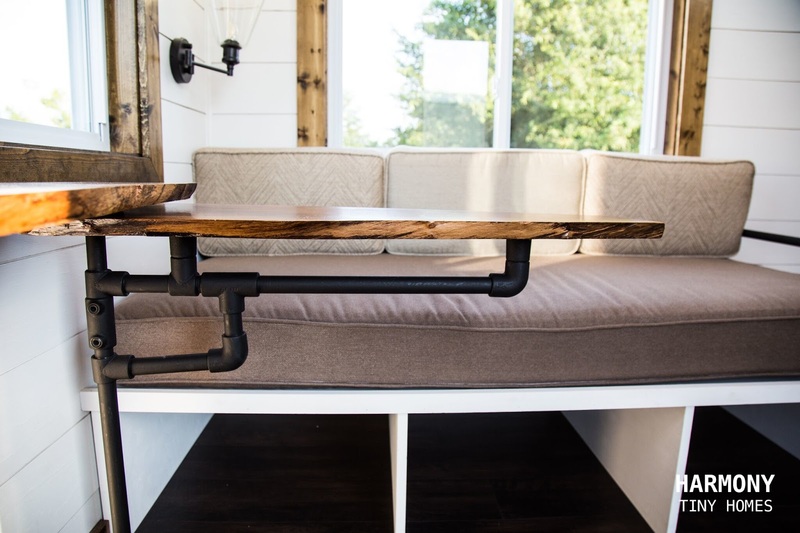 Over in the home's living room is a sofa and a table that can be pulled out from against the wall. 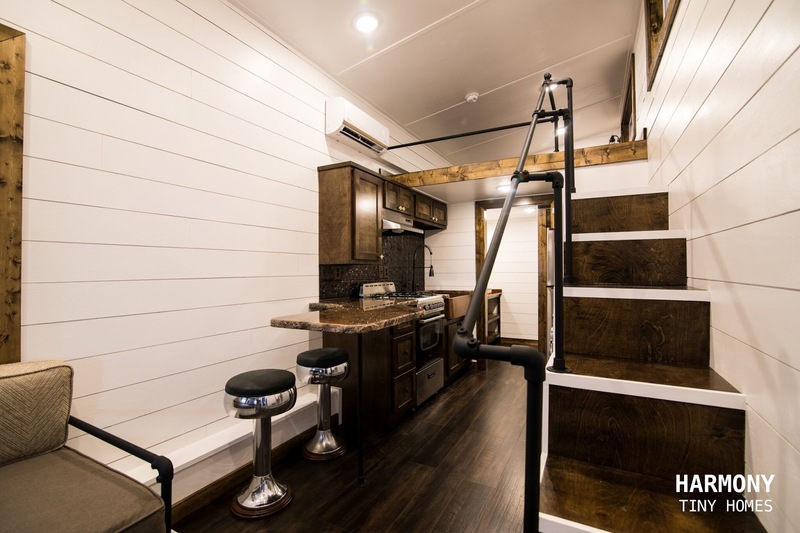 Also included in the home is a bathroom and a loft bedroom accessible by stairs! 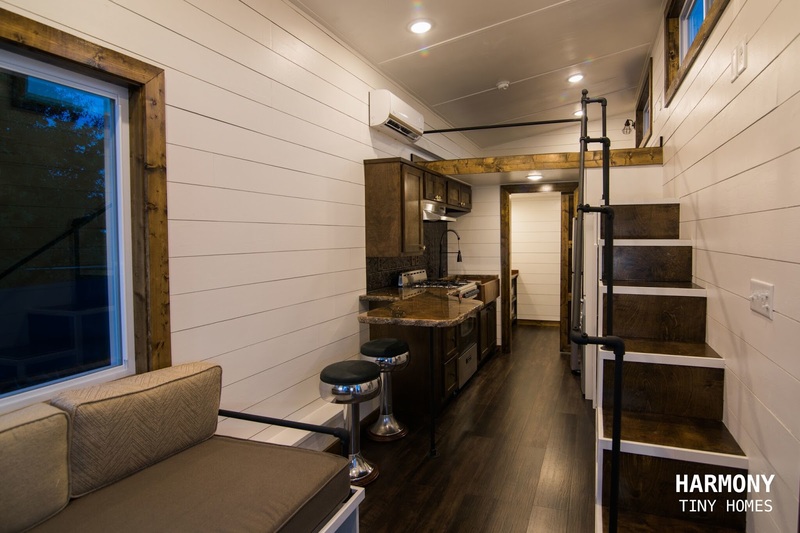 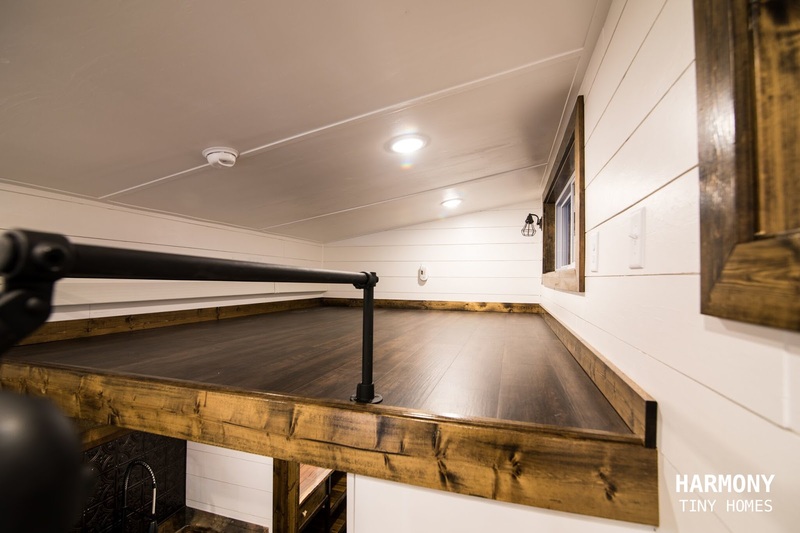 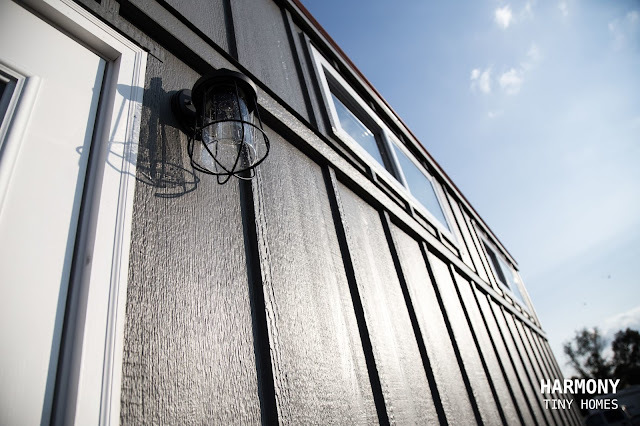 For more information on this build and/or Harmony Tiny Homes, contact them here! 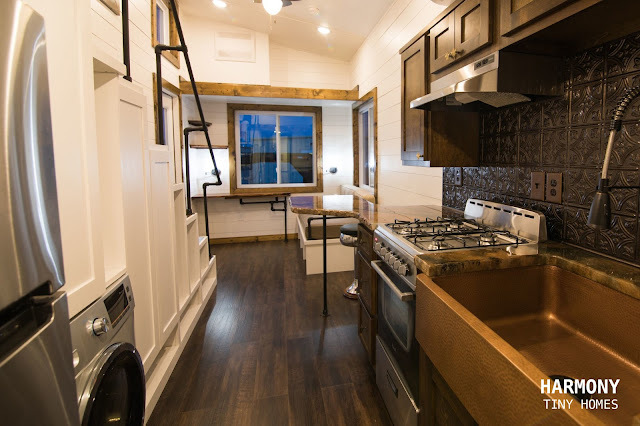 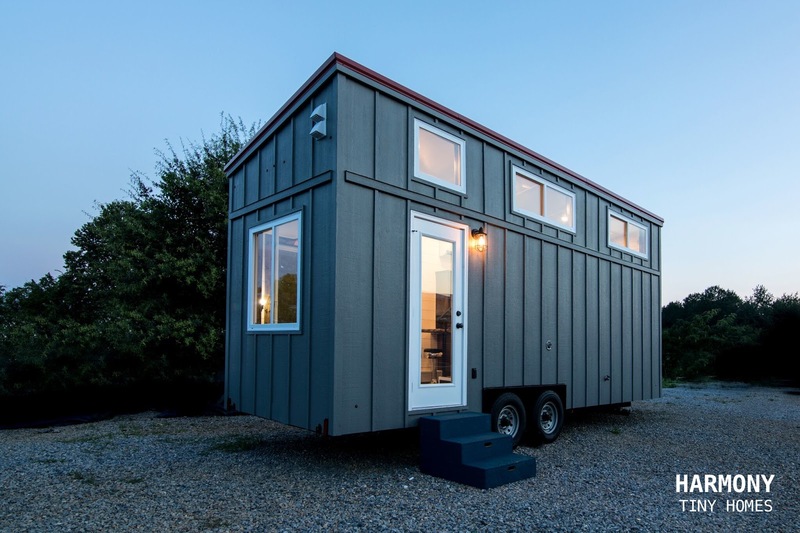 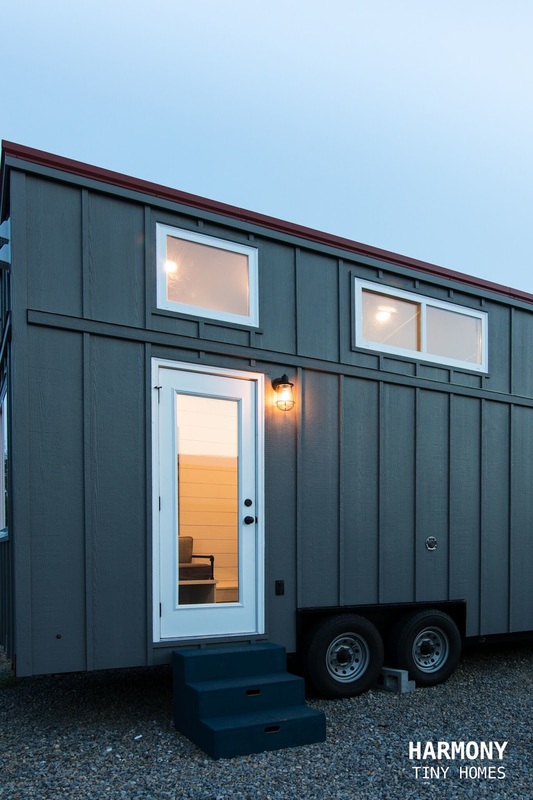 You can also check out these other tiny houses from Harmony: the Blue Moon and Youngstown!